Summer is approaching quickly, and my daughter is graduating from 6th grade. The gifted class that she's in draws students from several elementary schools that don't all feed into the same junior high, so she will be saying goodbye to some friends. Of course we'll be having an "end of school" party, and I'm already thinking about how to decorate. Last January at the Craft & Hobby Trade Show Sizzix and Echo Park released some awesome Bigz dies (wood + steel) that coordinate with Echo Park's paper collections. 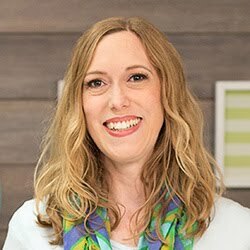 I got the chance to create some projects with a few of those dies, and I fell in love with them. 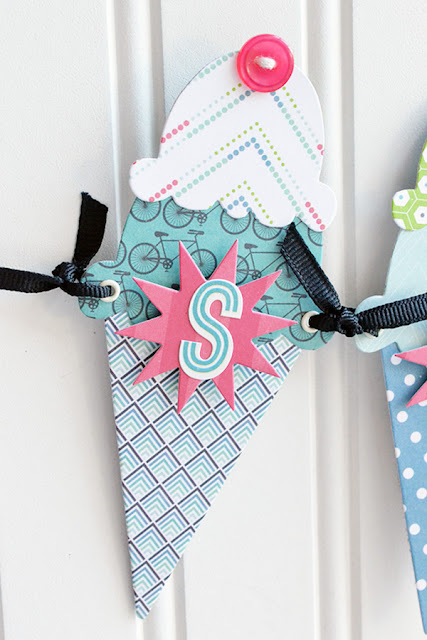 One of them is this yummy triple scoop ice cream cone--perfect for summer themed projects! 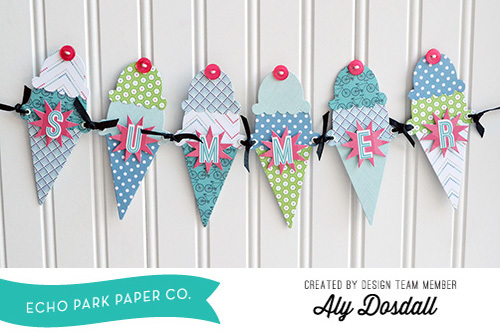 I created this fun summer banner using the ice cream die, the sunburst die, and the We Are Family paper collection from Echo Park Paper. Wouldn't that be a great decor piece for a candy bar or drink table at a summer party? I left off one of the three scoops to keep a good balance in the size of the cones for this project. Since I attached the cones with ribbon in the center, I had to weight the bottom of the cones with some thin chipboard that I attached to the back so they would hang well vertically. The starburst die serves to unify each piece of the project, and emphasize the excitement and anticipation for summer. 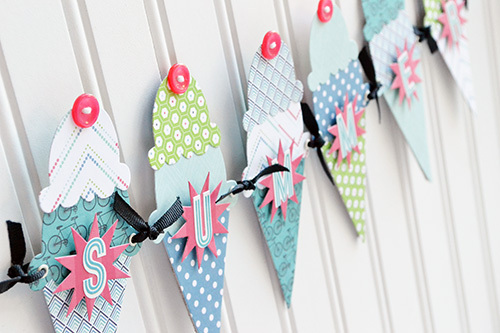 I love how this banner turned out, and I think this project would make a great piece of decor for an end-of-school party or a summer birthday party. In addition to the darling designs, what I love about these Bigz dies is that you can cut through a lot thicker material than you can with thin dies. 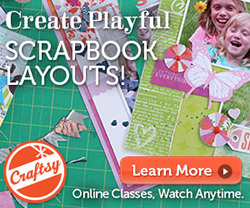 With these dies you have lots more creative possibilities. 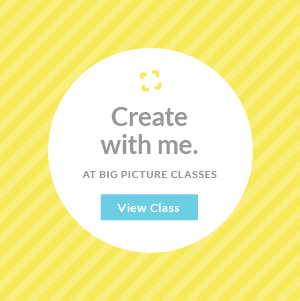 Stay tuned for more Echo Park + Sizzix Bigz Dies projects! This is just darling! Love the papers!